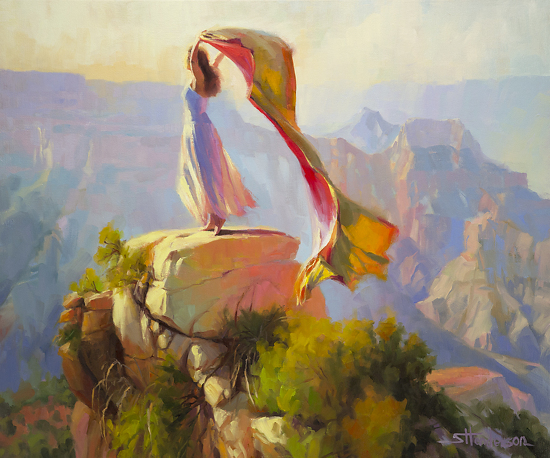 Gathering Thoughts — Original Oil Painting on Canvas — 36 x 30 — at Steve Henderson Fine Art. A young woman, absorbed in her thoughts and dreams, strolls through the ocean’s surf. Eyrie just keeps racking up the accolades. Out of 4,000 entries to Artist and Illustrator Magazine’s Artist of the Year competition, Eyrie was selected by a panel of esteemed jurors to be in the Fabulous Final 50. Now, it’s up for the popular vote, and we would certainly appreciate yours. You can vote for Eyrie by following this link — http://www.artistsandillustrators.co.uk/artists-of-the-year-2012-landscape — and scrolling down to the tenth painting, Eyrie, and clicking “vote now” under Steve’s name. Eyrie joins Last Light in Zion and Descent into Bryce as accepted works to the 6th Annual National Paint the Parks Exhibition. Blue Ribbon was awarded Honorable Mention. Eyrie, in addition to the original oil painting, 30 x 36, is available as a signed limited edition print at the Steve Henderson Fine Art website. Experience the exuberant sprite of the Grand Canyon. 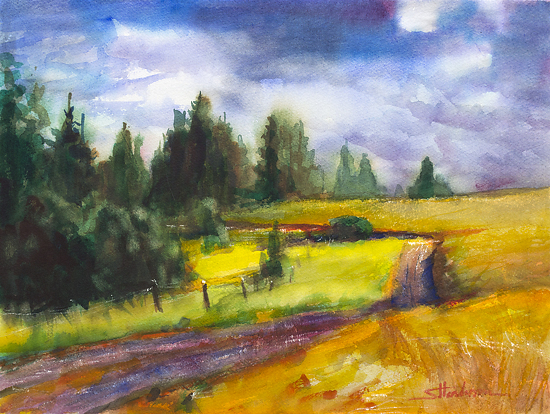 County Road — not quite the John Denver song, but the message is the same — there are these hidden, isolated roads that few people drive on or walk, and when you discover them, they’re yours. 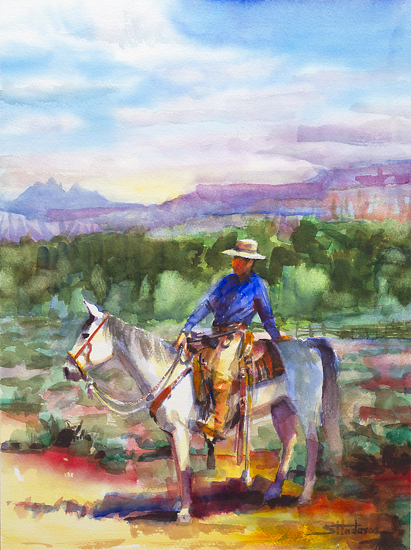 County Road is available at Steve Henderson Fine Art as an original watercolor (10.5 x 13.5) and as a limited edition print.